Soft pastel clouds drift lazily across the evening skyline in Houton, Texas. Down below, Buffaly Bayou winds and curves through the city, while joggers, walkers, and bikers, enjoy the trails that follow the waterway. 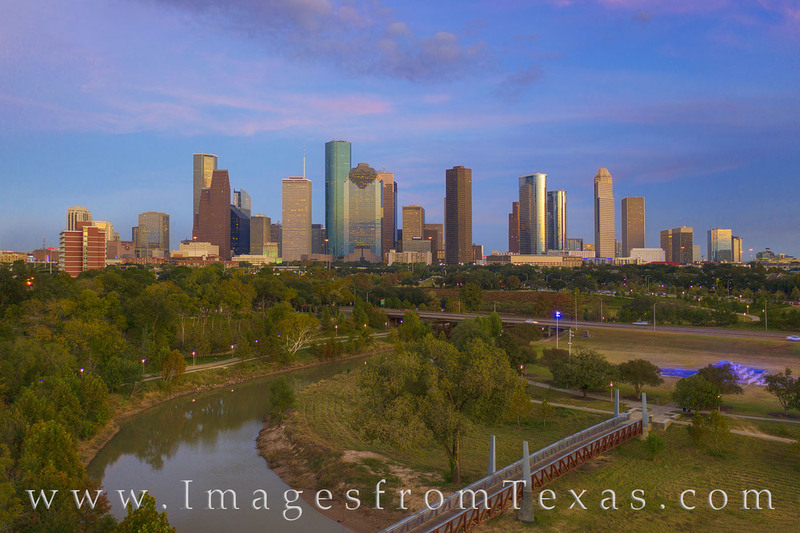 This Houston photograph was taken with a drone that meets all FAA requirements as part of the 107 license. Photo © copyright by Rob Greebon.